Geoffrey Farthing, Ianthe Hoskins, Adam Warcup, Radha Burnier and others. 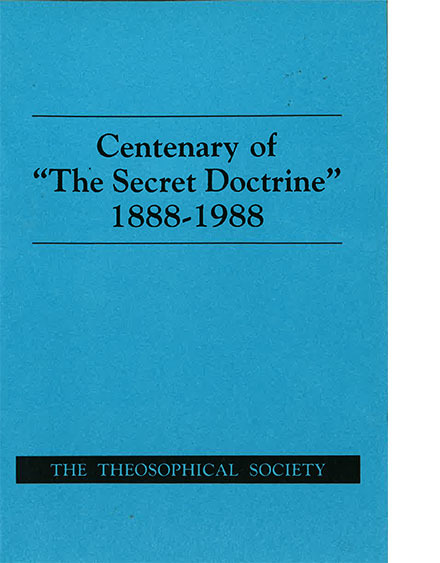 1988 saw the centenary of the first publication of The Secret Doctrine by H.P.Blavatsky, acknowledged by Theosophists throughout the world to be the major source of the occult wisdom. The brief essays printed here introduce various core ideas useful to the new student. Contributors Include: Geoffrey Farthing, Ianthe Hoskins, Adam Warcup, Radha Burnier. Author: Geoffrey Farthing, Ianthe Hoskins, Adam Warcup, Radha Burnier and others. Publisher: Theosophical Society in England.